At ēlizur, we supply state-of-the-art orthopaedic products and services to health care providers and their patients. Our comprehensive packages, implemented by credentialed and licensed staff, improve patient outcomes with a personalized musculoskeletal rehabilitation experience. Servicing areas throughout western Pennsylvania, eastern Ohio, and West Virginia, count on ēlizur to source the most technologically advanced products, arrange convenient delivery, ensure proper fit, provide individualized training, and expertly process claims. All the while, offering exceptional customer support. We ensure each patient has the best products, the appropriate training, and the superior customer service that they need to achieve results. At ēlizur we are committed to exceeding patient expectations and happily accommodate individual needs to ensure successful outcomes. With innovation focused on patient convenience we strive to not only evolve with the changing healthcare industry, but to lead the way. We provide a seamless experience from the clinic to the home, taking care of everything from fittings, to patient education, to claims processing. We ensure each patient has the best products, the appropriate training, and the superior service that they need to achieve results. With comprehensive and customized services, we ensure a seamless transition from the clinic to the home. All of our services are guided by our three core values: respect for the physician’s prescription, passion for patient care, and innovative products & services. Learn more about the ēlizur core values. With comprehensive and customized services, we ensure a seamless transition from the clinic to the home. All of our services are guided by our three core values: respect for the physician’s prescription, passion for patient care, and innovative products & services. 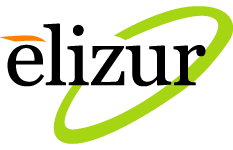 Learn more about the ēlizur cornerstone. We pride ourselves on sourcing the best products to achieve the clinicians’ desired outcomes. Our unique portfolio includes state-of-the-art products from all leading orthopaedic manufacturers. In addition to products supplied on-site at the clinic, we offer a range of convenient distribution options. We can accommodate patient services at any of our eleven offices, or directly to the patient’s home. 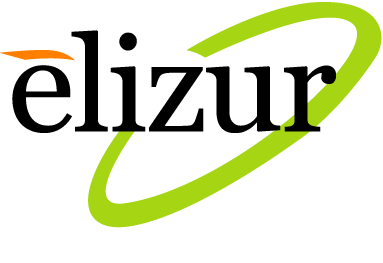 ēlizur is proud to be accredited through The Joint Commission. Their stringent standards translate to patients and health care professionals receiving the highest level of safe, quality care. Successful outpatient outcomes rely on access to and training from knowledgeable staff. Our licensed specialists provide the continuity of care patients’ need to achieve the best results. Our patient concierge and billing teams have the expertise needed to manage your claim according to your coverage. We skillfully oversee the claims process and handle any follow-up. As ēlizur continues to redefine the markets we serve, the backbone of our service remains built on understanding the clinician’s desired outcomes and transparently managing the protocol of care. Our unique approach results in a more convenient experience for the patient, the clinician, and staff. My ēlizur team, and the products they gave me, got me moving in a controlled manner very quickly [following my rotator cuff surgery]. This helped me avoid the stiffness that most people experience after this type of surgery, and [my surgeon] had told me at my initial post-surgery visit that my recovery was ahead of schedule. He was very pleased with the progress I had made.